This five year project at the University of Reading stands to make a substantial contribution to our understanding of the potential impact of climate change on cocoa production, and towards strategies to mitigate these effects. The project builds on previous CRUK supported research and aims to: •	Provide a broader understanding of the impacts of climate change on yield and quality in cocoa and synthesise knowledge gained on the impact of climate change on cocoa into a predictive physiological model. •	Develop tools for breeders to identify resilience to abiotic stresses. •	Examine ways in which the impacts of climate change can be ameliorated in the field through climate-ready strategies. •	As far as possible work in collaboration with research institutions in cocoa producing countries and other academic institutions interested in the effects of climate change on cocoa cropping, including a proposal being developed by Bioversity and partners known as the CFCE (Collaborative Framework for Cacao Evaluation). The research will be undertaken largely in the controlled environment facilities at the University of Reading but it is anticipated that it will establish linkages with field studies in cocoa producing countries. CRA Ltd continued to support the core activities at the Cocoa Research Unit in Trinidad together with the Government of the Republic of Trinidad and Tobago (GORTT). Additional support was received for a visiting scientist from CIRAD ( M.ten Hoopen). In addition to this core support, CRU received funding from WCF for the project to evaluate accessions from ICG,T for their reaction to Witches' Broom disease and research projects supported by various partners including Mars and Mondelez. CRC has continued in the training and research activities supported under the EU/ACP supported project "International Fine Cocoa Innovation Centre (IFCIC)" www.ifcic.centre, and research on the genetic basis of the incompatibility system, association mapping (with USDA-ARS), mitigation of cadmium contamination (supported by the ECA/CAOBISCO/FCC research fund).Other research has been organised under the following work programmes - Conservation; Characterisation; Evaluation and Utilisation. Activities in 2015 included further characterisation of ICG,T accessions for genetic diversity analysis and identification purposes using morphological, biochemical and molecular techniques, evaluation for characters including those of economic interest (e.g. bean characteristics, fat content, pod hardness and disease resistance) and sensory evaluation studies. A 16 month post-doctoral project to screen the accessions in the International Cocoa Quarantine Centre (ICQC) at the University of Reading for traits which are likely to affect their yield potential and stress resilience with a view to identifying interesting materials for priority inclusion in breeding work. The project also involved a study period at the International Cocoa Genebank, Trinidad with the Cocoa Research Centre (UWI, Trinidad)to evaluate some of the same clones grown under field conditions. Identification of Selection Traits to Maximise Cocoa Productivity and Quality in a Changing Environment. A project involving two PhD students to investigate the potential effects of climate change on the growth, physiology and quality of different genotypes of cocoa. 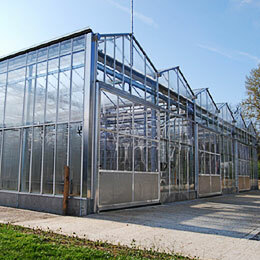 The research will be largely undertaken in the new controlled environment glass house facilities at the University of Reading which allow the quantification of factors such as temperature, CO2 and water stress. Fiona Lahive published her PhD thesis entitled "An examination of the impacts of climate change variables on growth and photosynthesis in Theobroma cacao L." in 2015. Her research showed that the responses and interactions varied according to the age of the plants (seedling v older budded plants), and that there were some differences in these responses amongst the limited number of genotypes studied. Liam Handley studied the effects of environmental variables on flower and fruit development. He found that water deficit and CO2 levels did affect characteristics such as pod growth rate, bean weight and fat content though the effects differed between the harvest periods. CRA Ltd continued to support the core activities at the Cocoa Research Unit in Trinidad together with the Government of the Republic of Trinidad and Tobago (GORTT). Additional support was received for a visiting scientist from CIRAD (M. Boccara to Nov 2015, M.ten Hoopen Apr-Dec). In addition to this core support, CRU received funding from WCF for the project to evaluate accessions from ICG,T for their reaction to Witches' Broom disease, UWI- Research Development and Innovation fund for detailed genetic and phenotypic studies of 500 genotypes from ICG,T, and research projects supported by various partners including Mars and Mondelez. CRC has continued in the training and research activities supported under the EU/ACP supported project "International Fine Cocoa Innovation Centre (IFCIC)" www.ifcic.centre, and research on the genetic basis of the incompatibility system, association mapping (with USDA-ARS), mitigation of cadmium contamination (supported by the ECA/CAOBISCO/FCC research fund).Other research has been organised under the following work programmes - Conservation; Characterisation; Evaluation and Utilisation. Activities in 2015 included further characterisation of ICG,T accessions for genetic diversity analysis and identification purposes using morphological, biochemical and molecular techniques, evaluation for characters including those of economic interest (e.g. bean characteristics, fat content, pod hardness and disease resistance) and sensory evaluation studies. Variation in uptake and partitioning of Cadmium within contrasting cocoa genotypes and methods of reducing Cadmium accumulation. A post-doctoral research project to investigate the genetic and soil/root environment factors affecting cadmium uptake by cocoa with a view to developing molecular tools to screen for rootstock varieties which accumulate less cadmium even when grown in volcanic soils which contain naturally higher levels. CRA Ltd continued to support the core activities at the Cocoa Research Unit in Trinidad together with the Government of the Republic of Trinidad and Tobago (GORTT). Additional support was received for a visiting scientist from CIRAD (M. Boccara). In addition to this core support, CRU received funding from WCF for the project to evaluate accessions from ICG,T for their reaction to Witches' Broom disease, UWI- Research Development and Innovation fund for detailed genetic and phenotypic studies of 500 genotypes from ICG,T, and research projects supported by various partners including Mars and Mondelez. CRC initiated a new project supported by €2.574million from EU/ACP for a "International Fine Cocoa Innovation Centre (IFCIC)" www.ifcic.centre. New Projects on the incompatibility system and on association mapping were also initiated with support from USDA-ARS and on the mitigation of cadmium contamination thanks to support from the ECA/CAOBISCO/FCC research fund. Other research at CRU continued to be organised under the following work programmes - Conservation; Characterisation; Evaluation and Utilisation. Activities in 2014 included further characterisation of ICG,T accessions for genetic diversity analysis and identification purposes using morphological, biochemical and molecular techniques, evaluation for characters including those of economic interest (e.g. bean characteristics, fat content, pod hardness and disease resistance) and sensory evaluation studies. An Investigation in to the Physiological and Genetic Basis of Establishment of Cocoa Clones. A post-graduate research project co-funded by LNV (Sustainable Cocoa Subsidy Scheme) and STCP, and administered by BCCCA/CRA Ltd, to investigate the importance of factors such as rootstock x variety effects and physiological performance of the variety during establishment and early growth, especially under drought conditions. An Investigation in to the Effects of Vegetative Propagation and Juvenility on Cocoa Vigour and Implications for Breeding Strategies, Nursery Management and Distribution of Genetic Resources. A post-graduate research project to investigate the effects of juvenility, reinvigoration and disruption to the flow of nutrients and water at the graft union on budding success and growth rates of budded plants with a view to understanding why seedling plants perform better than genetically identical plants derived from them. The UK chocolate industry, through its trade association BCCCA, and with support generated from the CRA trust fund, continued to support the core activities at the Cocoa Research Unit in Trinidad together with the Government of the Republic of Trinidad and Tobago (GORTT). Additional support was received for a visiting scientist from CIRAD (M. Boccara). In addition to this core support, CRU received funding from WCF for the project to evaluate accessions from ICG,T for their reaction to Witches' Broom disease and from USDA towards a collaborative activity also involving CIRAD to develop a DNA fingerprinting database for the cocoa collections of the Americas. CRU also received support from CFC and partner organisations for the CFC/ICCO/IPGRI project "Cocoa Productivity and Quality Improvement; a Participatory Approach" for activities including the germplasm enhancement programme for resistance to Black Pod and Witches' Broom disease. CRU and CRA's application for support from the Dutch Sustainable Cocoa Fund (Dutch Buffer Stock Fund) for the project "Safeguarding the ICG,T: a global resource for the cocoa industry" was successful and the work to repropagate "at risk" germplasm and install irrigation at the site was initiated towards the end of the year. Research at CRU continued to be organised under the following work programmes - Conservation; Characterisation; Evaluation and Utilisation. Activities in 2005 included further characterisation of ICG,T accessions for genetic diversity analysis and identification purposes using morphological, biochemical and molecular techniques, evaluation for characters including those of economic interest (e.g. bean characteristics, fat content, pod hardness and disease resistance),sensory evaluation studies, studies on the genetic basis of disease resistance and germplasm enhancement (pre-breeding) to develop a population with a high level of resistance to Black Pod and Witches’ Broom diseases. This MSc study aimed to produce a vulnerability assessment of the cocoa productivity in Cote d'Ivoire using the latest findings of the IPCC reports, building potential scenarios of impacts based also on related literature review and addressing possible ways to adapt to climate change through findings from focus groups and interviews with farmers and policy makers in Cote d.Ivoire. Field Establishment of Cocoa Clones through the Improvement of Agro-ecological Conditions. A PhD research project to evaluate the effects of shade, mulch and irrigation on the growth, development and physiology of different varieties of cocoa under field and controlled greenhouse conditions. Understanding Seasonal Variability in Quality, Yield and Disease Resistance. A post-doctoral research project co-funded by the Government of the Netherlands to investigate the control of plant development and its response to environmental conditions and stresses caused by biotic and abiotic factors at the molecular level. This research contributed to our understanding of how regions and genes across the genome are differentially silenced or activated in response to environmental changes and developmental progression. Attention was focused on identifying environmentally sensitive regions of the genome that affect bean quality and yield potential. The results generated are being integrated with existing global genomics and transcriptomics research efforts to identify the particular genes involved and to define conditions for optimal gene expression. In the longer term, this work will assist in the breeding of clones that are well adapted to local conditions and will greatly improve the power of existing genetics research efforts. The UK chocolate industry, through its trade association BCCCA, and with support generated from the CRA trust fund, continued to support the core activities at the Cocoa Research Unit in Trinidad together with the Government of the Republic of Trinidad and Tobago (GORTT). Additional support was received for a visiting scientist from CIRAD (M. Boccara). In addition to this core support, CRU received funding from WCF for the project to evaluate accessions from ICG,T for their reaction to Witches' Broom disease and from USDA towards a collaborative activity also involving CIRAD to develop a DNA fingerprinting database for the cocoa collections of the Americas. CRU also received support from CFC and partner organisations for the CFC/ICCO/IPGRI project "Cocoa Productivity and Quality Improvement; a Participatory Approach" for activities including the germplasm enhancement programme for resistance to Black Pod and Witches' Broom disease. CRU and CRA's application for support from the Dutch Sustainable Cocoa Fund (Dutch Buffer Stock Fund) for the project "Safeguarding the ICG,T: a global resource for the cocoa industry" was successful and the work to repropagate "at risk" germplasm and install irrigation at the site was initiated towards the end of the year. Research at CRU continued to be organised under the following work programmes - Conservation; Characterisation; Evaluation and Utilisation. Activities in 2009 included further characterisation of ICG,T accessions for genetic diversity analysis and identification purposes using morphological, biochemical and molecular techniques, evaluation for characters including those of economic interest (e.g. bean characteristics, fat content, pod hardness and disease resistance) and sensory evaluation studies. CRA Ltd took over the responsibility from BCCCA for support to CRU in September 2008 and continued to provide funding for the core activities at the Cocoa Research Unit in Trinidad together with the Government of the Republic of Trinidad and Tobago (GORTT). Additional support was received for a visiting scientist from CIRAD (M. Boccara). In addition to this core support, CRU received funding from WCF for the project to evaluate accessions from ICG,T for their reaction to Witches' Broom disease and from USDA towards a collaborative activity also involving CIRAD to develop a DNA fingerprinting database for the cocoa collections of the Americas. CRU also received support from CFC and partner organisations for the CFC/ICCO/IPGRI project "Cocoa Productivity and Quality Improvement; a Participatory Approach" for activities including the germplasm enhancement programme for resistance to Black Pod and Witches' Broom disease. CRU and CRA's application for support from the Dutch Sustainable Cocoa Fund (Dutch Buffer Stock Fund) for the project "Safeguarding the ICG,T: a global resource for the cocoa industry" was successful and the work to repropagate "at risk" germplasm and install irrigation at the site was initiated towards the end of the year. Research at CRU continued to be organised under the following work programmes - Conservation; Characterisation; Evaluation and Utilisation. Activities in 2005 included further characterisation of ICG,T accessions for genetic diversity analysis and identification purposes using morphological, biochemical and molecular techniques, evaluation for characters including those of economic interest (e.g. bean characteristics, fat content, pod hardness and disease resistance),sensory evaluation studies, studies on the genetic basis of disease resistance and germplasm enhancement (pre-breeding) to develop a population with a high level of resistance to Black Pod and Witches’ Broom diseases. The UK chocolate industry, through its trade association BCCCA, and with support generated from the CRA trust fund, continued to support the core activities at the Cocoa Research Unit in Trinidad together with the Government of the Republic of Trinidad and Tobago (GORTT). Additional support was` received for a visiting scientist from CIRAD (M. Boccara/P. Deberdt). In addition to this core support, CRU received funding from WCF for the project to evaluate accessions from ICG,T for their reaction to Witches' Broom disease and from USDA towards a collaborative activity also involving CIRAD to develop a DNA fingerprinting database for the cocoa collections of the Americas, and also from GORTT/USDA for association mapping studies of the ICG, T collection. CRU also received support from CFC and partner organisations for the CFC/ICCO/IPGRI project "Cocoa Productivity and Quality Improvement; a Participatory Approach" for activities including the germplasm enhancement programme for resistance to Black Pod and Witches' Broom disease. CRU received support from the Dutch Sustainable Cocoa Fund (Dutch Buffer Stock Fund) and CRA for the project "Safeguarding the ICG,T: a global resource for the cocoa industry" which invovled re-propagating "at risk" germplasm and constructing irrigation reservoirs at the genebank site. Research at CRU continued to be organised under the following work programmes - Conservation; Characterisation; Evaluation and Utilisation. Projects for research on quality/post-harvest factors were also continued thanks to support from the Dutch Buffer Stock Fund (quality attributes of the ICS clones), and links with the University of Hamburg, University of Towson and the Dept of Chemistry at UWI. Activities in 2007 included further characterisation of ICG,T accessions for genetic diversity analysis and identification purposes using morphological, biochemical and molecular techniques, evaluation for characters including those of economic interest (e.g. bean characteristics, fat content, pod hardness and disease resistance),sensory evaluation studies, studies on the genetic basis of disease resistance and germplasm enhancement (pre-breeding) to develop a population with a high level of resistance to Black Pod and Witches’ Broom diseases. The UK chocolate industry, through its trade association BCCCA, and with support generated from the CRA trust fund, continued to support the core activities at the Cocoa Research Unit in Trinidad together with the Government of the Republic of Trinidad and Tobago (GORTT). Additional support was received for a visiting scientist from CIRAD (M. Boccara/P. Deberdt). In addition to this core support, CRU received funding from WCF for the project to evaluate accessions from ICG,T for their reaction to Witches' Broom disease and from USDA towards a collaborative activity also involving CIRAD to develop a DNA fingerprinting database for the cocoa collections of the Americas. CRU also received support from CFC and partner organisations for the CFC/ICCO/IPGRI project "Cocoa Productivity and Quality Improvement; a Participatory Approach" for activities including the germplasm enhancement programme for resistance to Black Pod and Witches' Broom disease. CRU received support from the Dutch Sustainable Cocoa Fund (Dutch Buffer Stock Fund) and CRA for the project "Safeguarding the ICG,T: a global resource for the cocoa industry" which invovled re-propagating "at risk" germplasm and constructing irrigation reservoirs at the genebank site. Research at CRU continued to be organised under the following work programmes - Conservation; Characterisation; Evaluation and Utilisation. New projects for research on quality/post-harvest factors were also initiated thanks to support from the Dutch Buffer Stock Fund and a link with the University of Hambury. Activities in 2006 included further characterisation of ICG,T accessions for genetic diversity analysis and identification purposes using morphological, biochemical and molecular techniques, evaluation for characters including those of economic interest (e.g. bean characteristics, fat content, pod hardness and disease resistance),sensory evaluation studies, studies on the genetic basis of disease resistance and germplasm enhancement (pre-breeding) to develop a population with a high level of resistance to Black Pod and Witches’ Broom diseases. The UK chocolate industry, through its trade association BCCCA, and with support generated from the CRA trust fund, continued to support the core activities at the Cocoa Research Unit in Trinidad together with the Government of the Republic of Trinidad and Tobago (GORTT). Additional support was received for visiting scientists from CIRAD (M. Boccara and J-M Thevenin). The WCF (formerly ACRI) project to evaluate accessions from ICG,T for their reaction to Witches' Broom disease continued work to confirm the reactions of some promising clones from the previous phase of the work (1998-2003). CRU initiated activities as part of the CFC/ICCO/IPGRI project "Cocoa Productivity and Quality Improvement; a Participatory Approach" building on the research undertaken in the earlier CFC/ICCO/IPGRI project "Germplasm Conservation and Utilisation" but including germplasm enhancement for Witches' Broom resistance. CRU continued its invovlement in another CFC supported project "To establish the physical, chemical and organoleptic parameters differentiating fine and bulk cocoa". CRU also continued its invovlement in a project with USDA to develop a DNA fingerprinting database for all major cacao collections in the Americas. Initial results suggest that there is relatively little duplication of germplasm in the collection of original trees in Marper Farm,demonstating that this is a valuable reference for identification of cacao accessions. Research at CRU continued to be organised under the following work programmes - Conservation; Characterisation; Evaluation and Utilisation. Activities in 2004 included further characterisation of ICG,T accessions for genetic diversity analysis and identification purposes using morphological, biochemical and molecular techniques, evaluation for characters including those of economic interest (e.g. bean characteristics, fat content, pod hardness and disease resistance),sensory evaluation studies, studies on the genetic basis of disease resistance and germplasm enhancement (pre-breeding) to develop a population with a high level of resistance to Black Pod and Witches’ Broom diseases. Determination of Desirable Cocoa Germplasm Characteristics for Optimal Yield and Quality. A post-doctoral research project to investigate the responses of different varieties of cocoa to changes in temperature, light levels and water stress under greenhouse and field conditions with a view to matching varieties to local growing conditions. The Genetic and Physiological Basis of Incompatibility in Cocoa. This PhD research project involved studies of the recognition and rejection reactions in cocoa's unusual late-acting self-incompatibility mechanism using a combination of microscopy and molecular techniques. The UK chocolate industry, through its trade association BCCCA, and with support generated from the CRA trust fund, continued to support the core activities at the Cocoa Research Unit in Trinidad together with the Government of the Republic of Trinidad and Tobago (GORTT). Additional support was received for visiting scientists from CIRAD (M. Boccara and J-M Thevenin). The American Cocoa Research Institute's five year project to evaluate accessions from ICG,T for their reaction to Witches' Broom disease was completed in July 2003 with the screening of over 1000 accessions, and was extended for a further year. The CFC/ICCO/IPGRI project "Cocoa Germplasm Conservation and Utilisation" came to an end in 2003 though activities on the germplasm enhancement trials and refinement of the CFC project collection continued. CRU continued its invovlement in another CFC supported project "To establish the physical, chemical and organoleptic parameters differentiating fine and bulk cocoa". CRU also participated in the project to develop a DNA fingerprinting database for all major cacao collections in the Americas by extracting DNA from ICG,T accessions for microsatellite analysis at USDA Beltsville. Research at CRU continued to be organised under the following work programmes - Conservation; Characterisation; Evaluation and Utilisation. Activities in 2003 included the transfer to Trinidad of the remaining clones from the Barbados Quarantine Station which was scheduled for closure, further characterisation of ICG,T accessions for genetic diversity analysis and identification purposes using morphological, biochemical and molecular techniques, evaluation for characters including those of economic interest (e.g. bean characteristics, fat content, pod hardness and disease resistance),sensory evaluation studies, studies on the genetic basis of disease resistance and germplasm enhancement (pre-breeding) to develop a population with a high level of resistance to Black Pod and Witches’ Broom diseases. The UK chocolate industry, through its trade association BCCCA, and with support generated from the CRA trust fund, continued to support the core activities at the Cocoa Research Unit in Trinidad together with the Government of the Republic of Trinidad and Tobago (GORTT). Additional support was received for visiting scientists from CIRAD (O. Sounigo and J-M Thevenin) and GORTT (V. Mooleedhar). Other projects include the American Cocoa Research Institute's project to evaluate accessions from ICG,T for their reaction to Witches' Broom disease and the Common Fund for Commodities/ICCO/IPGRI project "Cocoa germplasm conservation and utilisation: a global approach". A new collaborative project with USDA was initiated in 2001 to compile a genetic fingerprint database of germplasm in South American collections. CRU agreed to extract DNA from every accession in the ICG,T and send samples to USDA Beltsville for microsatellite analysis with an automatic sequencer. Other research at CRU continued to be organised under the following work programmes - Conservation; Characterisation; Evaluation and Utilisation. Activities in 2001 included the continuation of the CRU/INIAP initiative to conserve the LCT-EEN material by replicating materials held in the field genebank at San Carlos, Ecuador for dissemination to EETP and CRU (via Barbados Quarantine Station), further characterisation of ICG,T accessions for genetic diversity analysis and identification purposes using morphological, biochemical and molecular techniques, evaluation for characters including those of economic interest (e.g. bean characteristics, fat content, pod hardness and disease resistance),sensory evaluation studies, studies on the genetic basis of disease resistance and germplasm enhancement (pre-breeding) to develop a population with a high level of resistance to Black Pod and Witches’ Broom diseases. The intention was to set up a series of long-term multi-locational experiments to analyse the growth and yield potential of a number of contrasting cocoa clones. Sites were established at Almirante Cacau, Bahia, Brazil and Bontu Morso, nr. Kumasi, Ghana but difficulties in establishing common planting materials eventually led to a re-consideration of the project. The site at Bontu Morso was subsequently used in the BCCCA/Bangor University/FORIG project ‘Improving the productivity and sustainability of cocoa farms in West Africa through the utilisation of native forest trees in agroforestry systems’ and the GCGRA/CRIG/Cadbury International project ‘Intercropping cocoa with economic shade crops’. The UK chocolate industry, through its trade association BCCCA, and with support generated from the CRA trust fund, continued to support the core activities at the Cocoa Research Unit in Trinidad together with the Government of the Republic of Trinidad and Tobago (GORTT). Additional support was received for visiting scientists from CIRAD (O. Sounigo and J-M Thevenin) and GORTT (V. Mooleedhar). Other projects include the American Cocoa Research Institute's project to evaluate accessions from ICG,T for their reaction to Witches' Broom disease, the CAOBISCO project "Use of molecular markers to identify the genetic basis of resistance to Black Pod disease (Phytophthora) and identify early screening markers (completed September 2000) and the Common Fund for Commodities/ICCO/IPGRI project "Cocoa germplasm conservation and utilisation: a global approach". Research at CRU continued to be organised under the following work programmes - Conservation; Characterisation; Evaluation and Utilisation. Activities in 2000 included the continuation of the CRU/INIAP initiative to conserve the LCT-EEN material by replicating materials held in the field genebank at San Carlos, Ecuador for dissemination to EETP and CRU (via Barbados Quarantine Station), further characterisation of ICG,T accessions for genetic diversity analysis and identification purposes using morphological, biochemical and molecular techniques, evaluation for characters including those of economic interest (e.g. bean characteristics, fat content, pod hardness and disease resistance),sensory evaluation studies, studies on the genetic basis of disease resistance and germplasm enhancement (pre-breeding) to develop a population with a high level of resistance to Black Pod and Witches’ Broom diseases. The UK chocolate industry, through its trade association BCCCA, and with support generated from the CRA trust fund, continued to support the core activities at the Cocoa Research Unit in Trinidad together with the Government of the Republic of Trinidad and Tobago (GORTT). Additional support was received for visiting scientists from CIRAD (O. Sounigo and J-M Thevenin) and GORTT (V. Mooleedhar). Other projects include the American Cocoa Research Institute's project to evaluate accessions from ICG,T for their reaction to Witches' Broom disease, the CAOBISCO project "Use of molecular markers to identify the genetic basis of resistance to Black Pod disease (Phytophthora) and identify early screening markers and the Common Fund for Commodities/ICCO/IPGRI project "Cocoa germplasm conservation and utilisation: a global approach". Research at CRU continued to be organised under the following work programmes - Conservation; Characterisation; Evaluation and Utilisation. Activities in 1999 included a CRU/INIAP initiative to conserve the LCT-EEN material by replicating materials held in the field genebank at San Carlos, Ecuador for dissemination to EETP and CRU (via Barbados Quarantine Station), further characterisation of ICG,T accessions for genetic diversity analysis and identification purposes using morphological, biochemical and molecular techniques, evaluation for characters including those of economic interest (e.g. bean characteristics, fat content, pod hardness and disease resistance),sensory evaluation studies, studies on the genetic basis of disease resistance and germplasm enhancement (pre-breeding) to develop a population with a high level of resistance to Black Pod and Witches’ Broom diseases. The UK chocolate industry, through its trade association BCCCA, and with support generated from the CRA trust fund, continued to support the core activities at the Cocoa Research Unit in Trinidad together with the Government of the Republic of Trinidad and Tobago (GORTT). Additional support was received for visiting scientists from CIRAD (O. Sounigo and J-M Thevenin), GORTT (V. Mooleedhar), Nestle (J. Reneau) and CRIG (A. Karimu). The American Cocoa Research Institute's project to evaluate genotypic variation in cocoa butter content of seeds came to an end in 1998 and a new project was started to evaluate accessions from ICG,T for their reaction to Witches' Broom disease. Research at CRU continued to be organised under the following work programmes - Conservation; Characterisation; Evaluation and Utilisation. Activities in 1998 included further characterisation of ICG,T accessions for genetic diversity analysis and identification purposes using morphological, biochemical and molecular techniques, evaluation for characters including those of economic interest (e.g. bean characteristics, fat content, pod hardness and disease resistance),sensory evaluation studies, studies on the genetic basis of disease resistance and germplasm enhancement (pre-breeding) to develop a population with a high level of resistance to Black Pod and Witches’ Broom diseases. The UK chocolate industry, through its trade association BCCCA, and with support generated from the CRA trust fund, continued to support the core activities at the Cocoa Research Unit in Trinidad together with the Government of the Republic of Trinidad and Tobago. Additional support was received from CIRAD for two visiting scientists (O. Sounigo and J-M Thevenin) and from the American Cocoa Research Institute for a project to evaluate genotypic variation in cocoa butter content of seeds. Research at CRU continued to be organised under the following work programmes - Conservation; Characterisation; Evaluation and Utilisation; Data management; Research and Training; Publications and International Collaboration. Activities in 1997 included a study of the morphological variation in the germplasm collected from the Maya mountains of Southern Belize, further characterisation of ICG,T accessions for genetic diversity analysis and evaluation for characters including those of economic interest (e.g. bean characteristics, fat content, pod hardness and disease resistance),sensory evaluation studies, studies on the genetic basis of disease resistance and germplasm enhancement (pre-breeding) to develop a population with a high level of resistance to Black Pod and Witches’ Broom diseases. The UK chocolate industry, through its trade association BCCCA, and with support generated from the CRA trust fund, continued to support the work at the Cocoa Research Unit in Trinidad together with the Government of the Republic of Trinidad and Tobago with additional support from CIRAD for visiting scientists and with funding from the American Cocoa Research Institute for a project to evaluate genotypic variation in cocoa butter content of seeds. The research continued to be centred around the International Cocoa Genebank, Trinidad (ICG,T). Agreement was reached to use the remaining part of the European Development Fund grant (which established the ICG,T) to support the "International Workshop on the Utilisation of the Genetic Resources of the International Cocoa Genebank, Trinidad" held in June 1996 . The event brought breeders and other researchers from many cocoa producing countries for discussions on pre-breeding, quarantine,data accessibility and training needs amongst other topics. It also provided an opportunity for discussions on the IPGRI proposal "Cocoa Germplasm Utilisation and Conservation- A Global Approach" which was being developed for submission to CFC via the ICCO. Research at CRU continued to be organised under the following work programmes - Conservation; Characterisation; Evaluation and Utilisation; Data management; Research and Training; Publications and International Collaboration. Activities in 1996 included participation in initiatives to collect germplasm from the Maya mountains of Southern Belize, further characterisation of ICG,T accessions for genetic diversity analysis and evaluation for characters including bean characteristics, fat content, pod hardness and disease resistance. The UK chocolate industry, through its trade association BCCCA, and with support generated from the CRA trust fund, continued to support the work at the Cocoa Research Unit in Trinidad together with the Government of the Republic of Trinidad and Tobago with additional support from CIRAD for two visiting scientists and with funding from the American Cocoa Research Institute for a project to evaluate genotypic variation in cocoa butter content of seeds. The research continued to be centred around the International Cocoa Genebank, Trinidad (ICG,T) which was established with support from the European Development Fund and which had been recognised as an international collection by IBPGR/IPGRI. The generous support from the European Union came to an end in 1994 on schedule but a number of students who had been supported by this grant completed their studies in 1995. Research at CRU continues to be organised under the work programmes are Conservation; Characterisation; Evaluation and Utilisation; Data management; Research and Training; Publications and International Collaboration. Activities in 1995 included participation in initiatives to collect/transfer germplasm from Ecuador and French Guiana, studies of environmental effects on phenotype expression, use of molecular markers to assess genetic diversity, confirm identity and in genome mapping, field and laboratory based evaluation of disease resistance, and the influence of fermentation on flavour and quality characteristics. The UK chocolate industry, through its trade association BCCCA, and with support generated from the CRA trust fund, continued to support the work at the Cocoa Research Unit in Trinidad together with the Government of the Republic of Trinidad and Tobago. The research continued to be centred around the International Cocoa Genebank, Trinidad (ICG,T) which was established with support from the European Development Fund and which had been recognised as an international collection by IBPGR/IPGRI. The generous support from the European Union came to an end in 1994 on schedule and a number of the post-graduate students that had been supported by this grant completed their studies. Mr. Mooleedhar's secondment from the Ministry also came to an end, though GORTT kindly permitted him to continue to carry out the duties of Agronomist with no charge to CRU. As the EU funding came to a close, it was agreed that an evaluation of the project should be conducted and this Evaluation Mission was carried out by Drs. Engels and Dyce. One of the recommendations made in the Evaluation report was that greater emphasis should be placed on CRU's work programmes and a new format for the Annual Report was adopted to reflect this. These work programmes are Conservation; Characterisation; Evaluation and Utilisation; Data management; Research and Training; Publications and International Collaboration. Activities in 1994 included the production of two CRU Newsletters, analysis of pod indices data and isozyme/RAPD data, development of a new propagation technique, and evaluation of germplasm for Black Pod and Witches' Broom diseases together with further research on the organisms causing these diseases. The UK chocolate industry, through its trade association BCCCA, and with support generated from the CRA trust fund, continued to support the work at the Cocoa Research Unit in Trinidad together with the Government of the Republic of Trinidad and Tobago. The research continued to be centred around the International Cocoa Genebank, Trinidad (ICG,T) which was established with support from the European Development Fund and which had been recognised as an international collection by IBPGR/IPGRI. CRU had also benefitted from support from the European Economic Community towards a number of post-graduate students from the ACP countries and two visiting scientists from CIRAD (Dr. M. Ducamp and Mr. O. Sounigo). In 1993, research focussed on assessing phenotypic diversity within the ICG,T using morphological descriptors (led by F. Bekele) and its genetic diversity using isozymesand RAPD analysis (O. Sounigo, Y. Christopher, S. Misir). Research on aspects of cocoa physiology, including responses to drought and high light levels continued and the pathology section studied relationships between leaf and pod resistance to Black Pod infection and aspects of Witches' Broom infection. Dr. J. Warren (breeder/geneticist) left CRU in June 1993. The UK chocolate industry, through its trade association BCCCA, and with support generated from the CRA trust fund, continued to support the work at the Cocoa Research Unit in Trinidad together with the Government of the Republic of Trinidad and Tobago. The research continued to be centred around the International Cocoa Genebank, Trinidad (ICG,T) which was established with support from the European Development Fund and which had been recognised as an international collection by IBPGR. CRU had also benefitted from support from the European Economic Community towards a number of post-graduate students from the ACP countries and a visiting scientist from CIRAD. In 1992, research focussed on characterising the accessions in the ICG,T using morphological descriptors (led by F. Bekele) and isozymes (Y. Christopher, E. Johnson, F. Hosein, J. Warren) and evaluating their resistance to rodents (D. Emamdie, J. Warren) and studies of the breeding system (K.Kalai, J.Warren). Aspects of pathology research included fungicide application methods (T. Sreenivasan) and further studies of the biology of Phytophthora spp. (Black Pod Rot) and Crinipellis (now Moniliophthora) perniciosa. CRU organised a Workshop entitled "Conservation, Characterisation and Utilisation of Cocoa Genetic Resources in the 21st Century" which was attended by over 50 delegates from 22 different countries. A study into the potential for enhancing productivity in cocoa (Theobroma cacao L.) through exploitation of physiological and genetic variation. The UK chocolate industry, through its trade association BCCCA, and with support generated from the CRA trust fund, continued to support the work at the Cocoa Research Unit in Trinidad together with the Government of the Republic of Trinidad and Tobago. The research continued to be centred around the International Cocoa Genebank, Trinidad (ICG,T) which was established with support from the European Development Fund and which had been recognised as an international collection by IBPGR. CRU had also benefitted from support from the European Economic Community towards a number of post-graduate students from the ACP countries. The research group at CRU was complemented by the appointment of a new breeder/geneticist, Dr. John Warren, and visiting scientists from CIRAD (Dr. M. Ducamp) and the University of Reading (Dr. T. Pettitt). BCCCA provided support for two staff members, Felicia Hosein and Elizabeth Johnson, to spend 3 months at the Scottish Crop Research Institute gaining knowledge on the use of RAPD (Random Amplification of Polymorphic DNA) technology. During 1991 CRU staff and students continued to focus their research on the accessions of the ICG,T including morphological and biochemical characterisation, inheritance of bean size characteristics and resistance to Phytophthora in leaf tissue. Pathology research included epidemiology of Phytophthora spp. and the identification of a new pod disease (Ceratocystis paradoxa). Students also carried out research on aspects of cocoa physiololgy including the effects of shade on growth. The UK chocolate industry, through its trade association BCCCA, and with support generated from the CRA trust fund, continued to support the work at the Cocoa Research Unit in Trinidad together with the Government of the Republic of Trinidad and Tobago. The research continued to be centred around the International Cocoa Genebank, Trinidad (ICG,T) which was established with support from the European Development Fund and which had been recognised as an international collection by IBPGR. During this period, the Genetic Resources programme (led by Dr. Kennedy and Mrs Gonsalves) continued to focus on the morphological and isozyme characterisation of the accessions in the ICG,T. Some work was undertaken on cocoa physiology including an MPhil study of drought resistance and research by J.H.H. Yapp, a visiting scientist from University of Reading. The Pathology programme (led by Dr. Sreenivasan) continued to investigate the biology of Black Pod and Witches Broom diseases. Dr. T. Pettitt, another visiting scientist from the University of Reading, undertook research on copper-impregnated collars as a potential way to control black pod disease. BCCCA also provided additional support for work on isozymes and to support a Botanist/Collector who was appointed in late 1989 to acquire new accessions for the ICG,T. Researchers: Dr. A.J. Kennedy (Head to Nov. 1988), Prof. L.A. Wilson (acting Head Dec. 1988-July 1989), Prof. J.A. Spence (from August 1989). The UK chocolate industry, through its trade association CCCA and later the BCCCA, and with support generated from the CRA trust fund, continued to support the work at the Cocoa Research Unit in Trinidad together with the Government of the Republic of Trinidad and Tobago. The research effort was organised under three major programmes: Agronomy, Disease Management and Genetic Resources. The main focus for the research was on the extensive collections of germplasm which were distributed across several sites within Trinidad. The International Board for Plant Genetic Resources (IBPGR) recognised the global importance of this material and with the approval of an application for support to the European Development Fund, the process of bringing together all of this germplasm at a single site was initiated to create the International Cocoa Genebank, Trinidad (ICG,T). During this period, the Genetic Resources programme (led by Dr. A.J. Kennedy with Mr. Yidana working on an IBPGR internship) focussed on the description of pod and bean morphology of accessions in the ICG,T and isozyme variation in cocoa accessions. The Agronomy programme (led by Mr Muttschneller to August 1985 and then by Mrs C. Gonsalves, with Dr. Fagan leading the Jamaica station until July 1986) focussed on propagating and planting materials at the University Cocoa Research Station (UCRS) following the closure of the Las Hermanas Field Station. The Pathology programme (led by Dr. Sreenivasan) continued to investigate the biology of Black Pod and Witches Broom diseases. Franklin Manu Amoah (1986) Studies on the Rapid Propagation of Cacao (Theobroma cacao L.). PhD Thesis, Wye College, University of London. Summary Vegetative propagation is important for the rapid multiplication and improvement of selected clones of cacao for research and breeding programmes and the establishment of plantations. A review of literature on plant propagation with special reference to cacao has been carried out. The effects of several environmental and physiological factors as well as pretreatments to seeds and cuttings on the propagation of cacao (Theobroma cacao L.)have been investigated. Techniques have been developed for the intensified production of your cacao from seeds, rooted cuttings and the Nutrient Film Technique (NFT). A growing medium of 30’C favoured rapid rooting of cuttings and the growth of young plants by the NFT. Leaf area of about 80cm2 favoured success of rooting and bench budding/grafting. A mixture of Indole-3-Butyric Acid (IBA) and a-Naphthalene acetic acid (NAA) in equal proportions at a total concentration of 6000ppm applied as 10 seconds quick dip favoured rooting of cuttings whilst Gibberellic Acid (GA3) at 500ppm or Gibberellic Acid and 6-Benzylaminopurine (BAP) mixture in equal proportions at a total concentration of 500ppm favoured rapid shoot growth of cuttings and bench budding/graftlings. Addition of mineral nutrients to the flowing solution inhibited both rooting and bud break of cuttings rooted by the NFT. Studies on the effect of individual elements (N, P and K) on rooting also revealed that single node cuttings of cacao rooted best in distilled water than in any other solution. Cuttings rooted faster in the NFT than under mist and growth rates of young plants growing NFT conditions were approximately twice the rate observed for plants grown in standard potting compost. Marginal leaf scorching, which is a common occurrence in cacao, has been observed to be related to local deficiencies of calcium in the affected areas resulting from reduced water uptake by plants; however, this does not occur under NFT conditions where there is a continuous supply of water to the plants. Recommendations are made on improved techniques for the intensified production of young cacao. The UK chocolate industry, through its trade association CCCA and later the BCCCA, and with support generated from the CRA trust fund, continued to support the work at the Cocoa Research Unit in Trinidad together with the Government of the Republic of Trinidad and Tobago. The research effort was organised under three major programmes: Agronomy, Disease Management and Genetic Resources. The main focus for the research was on the extensive collections of germplasm which were distributed across several sites within Trinidad. The International Board for Plant Genetic Resources (IBPGR) recognised the global importance of this material and with the approval of an application for support to the European Development Fund, the process of bringing together all of this germplasm at a single site was initiated to create the International Cocoa Genebank, Trinidad. The Cocoa Research Association was established in 1973 to manage a Trust Fund set up by the late John Cadbury to support cocoa research, especially work carried out in Trinidad. [Summarised from Fifty Years of Cocoa Research in Trinidad & Tobago, Posnette A.F. (1986)] The Cacao Research Scheme, originally set up under ICTA in 1930, remained under the aegis of the University of the West Indies from 1960 onwards. The research programme continued to have a more regional focus and included further collecting missions in the Amazon basin and evaluation of progeny trials though financial stringency limited recording of trial data (W.S. Chalmers, L.L.de Verteuil), physiology and environmental effects (R.Fordham), pests and diseases including Ceratocystsis and Phytophthora diseases( T.N. Sreenivasan) and post-harvest processing and biochemistry (A. Lopez and V.C. Quesnel). [Summarised from Fifty Years of Cocoa Research in Trinidad & Tobago, Posnette A.F. (1986)] The Cacao Research Scheme, originally set up under ICTA in 1930, came under the aegis of the University of the West Indies from 1960 onwards. The research programme was re-orientated towards a more regional focus and new field trials were planted at Las Hermanas (rather than River Estate). Research focussed on evaluation of new introductions, progeny trials, disease resistance trials and incompatibility studies(B.G.D. Bartley 1951-70, D.B. Murrary 1950-77), collection of new materials from Ecuador (W.S. Chalmers 1968-73), physiology and environmental effects (D.B. Murrary, Sale 1963-69), pests and diseases including Ceratocystsis ( E.F. Iton 1957-79, L.W. Small) and Black Pod (J.Spence 1965-66), weed control (L. Kasasian) and post-harvest processing ( L.A. Griffiths 1956-61, A. Lopez 1967-1970 , V.C. Quesnel, 1961-78). Funded by BCCCA and Govts of Ceylon, Gold Coast, Grenada, Nigeria and Trinidad and the chocolate industry (Cadbury Bros Ltd., J.S.Fry and Sons Ltd and Rowntree and Co.
[Summarised from Fifty Years of Cocoa Research in Trinidad & Tobago, Posnette A.F. (1986)] The genesis of the Cacao Research Scheme at the Imperial College of Tropical Agriculture was in 1927 when the Committee, formed by the British Government, recommended the formation of Agricultural Research Stations to serve various regions in the tropics by doing long range research not usually covered by agricultural departments of colonial governments.The Cacao Research Scheme was eventually approved in 1930 and was jointly funded by public and private contributors. Research was conducted on a variety of aspects of the crop including its botany and genetics (B.G.D. Bartley 1951-70,E.E. Cheesman 1930-46, F.W.Cope 1937-40, K.S. Dodds 1937-49, F.J. Pound, R.K. McKee 1940-42, A.F. Posnette 1936-49,Voelcker 1935-37), physiology and soil science ( J.A. McDonald 1930-36, H. Evans 1949-52, F. Hardy 1924-76, G. Havord 1950-57, E.C. Humphries 1937-45, H. Lees 1947-49, Maliphant 1953-71, D.B. Murrary 1950-77, R. Nichols 1954-64, J.W. Porteous 1947-1950, E. Pyke 1930-34, G. Rodrigues 1939-70, T.E. Wasowicz 1950-1952), pests and diseases (R.E.D. Baker 1933-54, E.Mc.C Callan 1937-50, W.T. Dale 1943-53, R.G. Fennah 1951-1958, P.C. Holliday 1949-55, E.F. Iton 1957-79, T.W. Kirkpatrick 1946-60 ), economics (A.L. Jolly 1939-50, C.Y. Shephard 1924-47 and post-harvest processing (K.W. De Witt 1950-56, L.A. Griffiths 1956-61, Haworth 1947-50). Research activities included studies of the fruitfulness of cacao (including the incompatibility system), Witches' broom disease, growth flushes/cherelle wilt, selection and evaluation of the ICS clones, propagation methods, mineral nutrition and deficiency symptoms, fermentation systems and collecting germplasm. "Understanding how the environment can influence growth, yield and quality"